We're going to manage your pharmacy better and save you money while we're at it. Our program is designed to keep your pharmacy trend under control. One of the biggest threats to employer healthcare coverage today is not having the right Rx strategy in place. Drug trends are increasing at historic rates, and the pipeline for high cost specialty medications is growing by the day. In addition, the prevalence of "super spenders" (>$50,000 in medication spend per year) in groups has seen an increase of 35% since 2014. 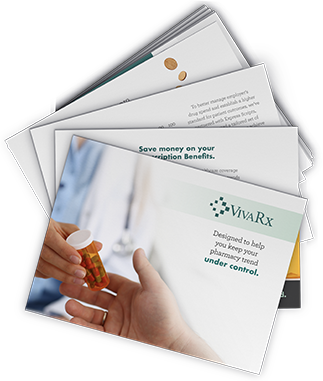 Despite these trends, VivaRx has helped ensure our groups see trends below that of national averages. We are not afraid to take bold action and make pivotal moves, in the best interest of our clients and members, to help protect against major threats to the pharmacy benefit and to keep rising drug prices in check.